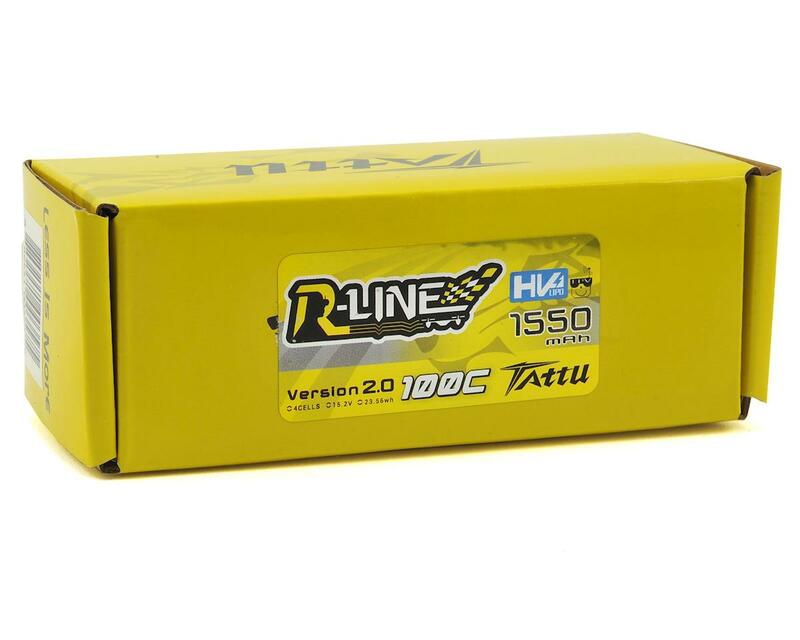 This is the Tattu R-Line 1550mAh 100C 4S1P LiHV LiPo Battery Pack. What is R-Line? R-Line is specifically designed for professional FPV racing competitions. It's the selling version of Toppilot batteries. It's also a subsidiary of the Tattu brand. It's got higher capacity, lower internal resistance and lower landing temperatures. They are remarkably more powerful than other graphene batteries. Generally, R-Line batteries have the same specs as our popular Toppilot batteries. Version 2.0 offers the benefit of high voltage cells, providing pilots with ever ounce of performance anyone can ask for. You've tried the rest, now try the best. 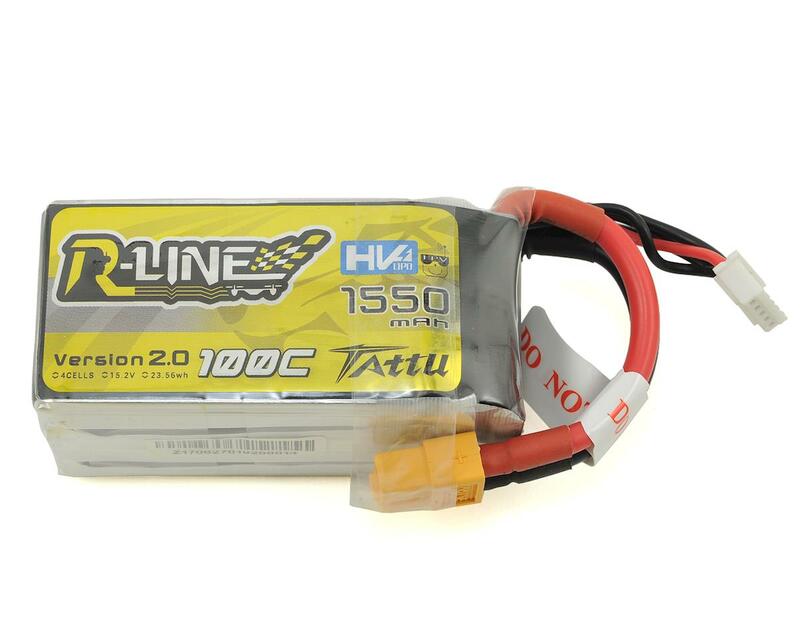 HV LiPo batteries have been proven in other areas of R/C to provide increased performance, why hold back your racing drone with a standard LiPo battery?